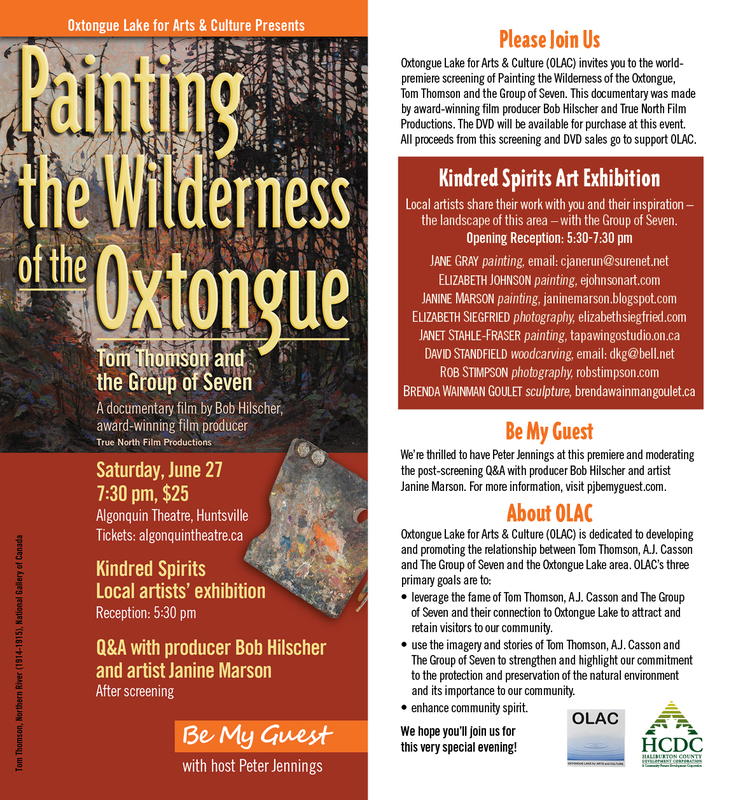 Oxtongue Lake for Arts and Culture is very proud to present the premiere screening of the full length documentary film “Painting the Wilderness of the Oxtongue” by award winning producer Bob Hilscher. Many of you were present at the Artists’ Day Festival on September 20, 2014 for the unveiling of the Outdoor Art Exhibit where Bob’s trailer of this film was first shown. Those who saw the trailer could not stop raving about how magnificent it was in bringing forth the story of the Group of Seven and Tom Thomson’s connection to Oxtongue Lake. Come early and enjoy the Kindred Spirits Art Exhibition and reception at the Algonquin Theatre. Don’t miss this exciting opportunity to celebrate Oxtongue Lake.